Guides at Suomenlinna are authorized by the Ehrensvärd Society together with the National Board of Antiquities and Governing Body of Suomenlinna. Only authorized guides are allowed to guide groups in Suomenlinna. By using only authorized guides the Ehrensvärd Society wants to ensure the quality and the correct historical facts of the tour. Ehrensvärd Society cooperates with many travelagencies and provides guideservices in 15 different languages. Authorized guides are official Suomenlinna guides, who has graduated from Suomenlinna guide training. With a high quality training program we want to ensure correct historical contents, quality guide services and the security of groups. 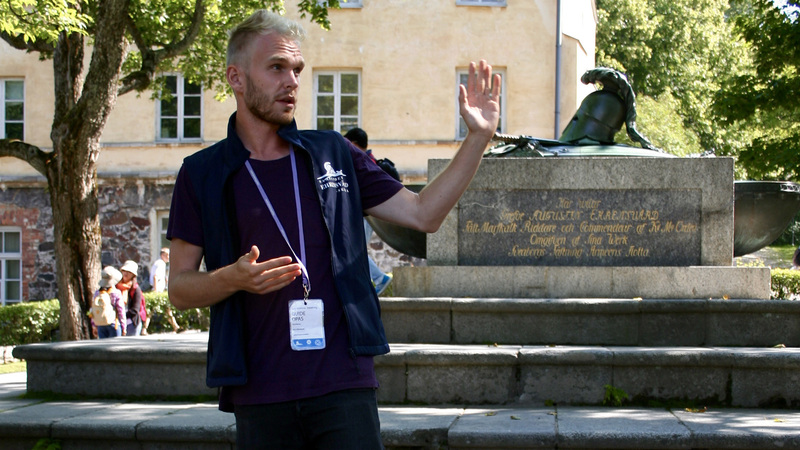 Do you want to be a Suomenlinna guide?